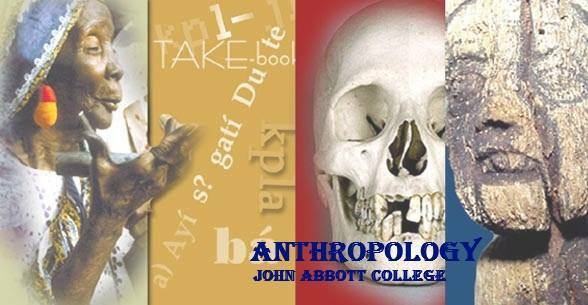 Anthropology is an integral part of the John Abbott College Social Science Program and offers courses for Social Science students. Students from all programs are welcome to take our complementary courses in Forensic Anthropology and Medical Anthropology. Our dedicated teachers, Sarah Bean, Sabrina Gloux, Ed Holland, Jimena Marquez and Robbyn Seller create and teach challenging and enriching Anthropology courses in a stimulating learning environment to a diverse student population. As anthropologists acting as cultural translators, we challenge common sense knowledge and help students to understand various points of view, and translate ideas in a culturally relativistic way. We help them understand that many of the things we perceive as “natural” are in fact culturally constructed and organized. Anthropology being a field-based discipline, our team of teachers have designed engaging interactive teaching methods to provide students with a stimulating and dynamic class experience. A lot of our courses involve a “hands-on” approach to the different specialties within the field of Anthropology using a rich collection of artefacts and osteological material. The Anthropology Department is located on the 3rd floor of Herzberg building in H-326 and the Anthropology Collection is housed in the Anthropology Prep Room in H-324. All Anthropology classes take place in H-322. Anthropology is, literally, the study of humankind. Anthropology is a discipline that exists at the borders of the Social Sciences, the Humanities, and the Biological Sciences. Formally, anthropology can be defined as the study of human nature, human society, and the human past. This means that some anthropologists are interested in our origins as a species, while other are looking to understand diverse contemporary ways of life, or yet others investigate the past or try to understand why we speak the ways we do. In our attempt to understand and represent the realities of particular biocultural entities, we adopt an holistic perspective – that is, we try to fit together all that is known about human beings drawing on findings of many different disciplines and data we have collected – encapsulating their key features and underlying principles to produce an encompassing picture of human life. And we do this in a way that this understanding can be communicated cross-culturally, acting as a translatory bridge. In North America, anthropology has been historically divided into four major subfields. Although each of the subfields require distinctive skills, they also have a number of similarities and overlap. Cultural anthropologists explore how people in different places live and understand the world around them. We investigate how variation in beliefs and behaviors of members of different human cultural groups is shaped by culture, sets of learned behaviors and ideas that human beings acquire as members of their society. The knowledge we gain can enrich human understanding on a broader level. Archaeologists are somewhat the cultural anthropologists of the past. We study human culture by analyzing the material remains of earlier societies. Through our work, we discover much about our history, particularly prehistory, and we are able to fill the gap between our past and present. Linguistic anthropologists are concerned with the study of human languages and communication systems. We seek to understand language in relation to the broader cultural, evolutionary, or biological contexts that made it possible. But we are also interested in how language is linked to how we, as humans, see the world and how we relate to each other. For us, language and communication are keys to how we make society and culture. In recent decades, increasing numbers of anthropologists have been using the methods and findings from virtually every subfield of anthropology to address problems and issues in the contemporary world. With a theoretical and methodological “toolkit” enabling them to understand and articulate social behavior, there is really no area of human life in which anthropology cannot be applied. Involvement and employment of anthropologists outside of the traditional areas of practice has given rise to new specialties within the field of anthropology ranging from cultural ecology, medical anthropology, forensic anthropology, political ecology, to development anthropology or environmental anthropology to name a few. Anthropologists are employed in a number of different sectors, from colleges and universities to government agencies, NGOs, businesses, and health and human services. Developing clear and precise record-keeping skills and the attention for details through the observation of behaviors, artefacts, and fossils and bones. Developing analytical reading and critical thinking skills through the evaluation and analysis of anthropological data such as behaviors, and texts and narratives. Developing cultural sensitivity through the dealing with unfamiliar social/cultural situations, such as learning new languages or immersing themselves in a “foreign” cultural/social setting and being confronted to new communication and interaction rules. Because students of anthropology see the “whole picture”, they may be able to generate creative solutions to the problems they may face in their social and cultural lives. It is not because you study anthropology or take anthropology classes that you will become an anthropologist. Because as anthropologists or students of anthropology we deal with individuals but also and mostly with communities, we develop a powerful way to approach the world we live in. This approach allows students to use their anthropology knowledge and skills as a foundation for further training, or carry their anthropological skills into different areas of work. The beauty of anthropology is that it is highly transferable to other career paths; the most obvious paths are the “people oriented” careers, such as social work, human resources, counselling, conflict intervention and resolution, mediation, education, charity/NGOs work, diplomacy, government, conservation, tourism, or yet again legal work, to name a few. And in today’s globalized world, the cultural translatory skills that anthropology provides students with can be a significant asset for those who wish to pursue a career in business as the international frontiers are opening more and more. Courses taught: Introduction to Anthropology, Human Evolution, Anthropology in the Museum, Evolution and Creationism, Understanding the Evolution-Creationism Controversy, Social Science Research Methods, and Integration in the Social Sciences. Biographical information: Sarah first became fascinated by Anthropology after taking courses at McGill University in Prehistoric Archaeology and Human Evolution and excavating at a Neolithic site in northern Finland. After completing her B.A. (Anthropology and History), she obtained an Ontario Post-Graduate Certificate in Museum Management and Curatorship at Sir Sandford Fleming College. Her internship at the Canadian Museum of Civilization further increased her passion for all things museum and Anthropology related. In 2008, Sarah joined McGill University’s WOW Lab, a Science Education Research and Development Project, where she helped create evolution education activities for elementary and high school students. She also became a member of The Evolution Education Research Centre at McGill. Sarah began her Masters of Arts in Anthropology at McGill University in 2009, and was interested in finding out how human evolution was presented in museums across Canada, and also how Creationist Museums were dealing with the topic of human origins. 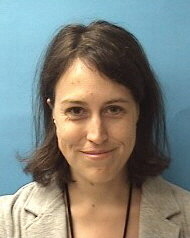 She is currently pursuing a Graduate Certificate in College Teaching from the University of Sherbrooke. Biographical information: Growing up around the world made me easily and quickly accustomed to many different cultures which is probably the main reason why I naturally oriented myself towards Anthropology. I came to Montreal 16 years ago to study Physical Anthropology in which I completed both a B.Sc. and a M.Sc. degree at the Université de Montréal. 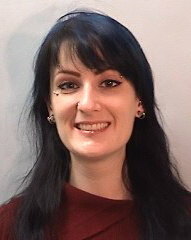 Being interested in Molecular Biology as well as Forensic Sciences, I also completed a certificate in Ancient DNA extraction and analysis at the Paleo-DNA Lab of the Lakehead University in Thunder Bay, Ontario; and two certificates in Forensic Medicine and Crime Scene Investigation from the Institut des Hautes Etudes en Criminologie in Paris, France. I am currently pursuing a PhD in Biological Anthropology at the Université de Montréal. My main areas of interest are paleoanthropology, human evolution, functional anatomy, comparative anatomy, human osteology, skeletal biology, forensic anthropology, and ancient DNA. Specific research interests include the understanding of the macroscopic and microscopic skeletal adaptations to mechanical loads and variations, to better interpret skeletal markers of activity patterns and related injury patterns in osteological remains. Biographical information: Prof. Holland has been teaching at John Abbott College since 1975. He began his undergraduate studies in Molecular Biology and Art History at Pace University, and completed his BA in Anthropology at Brooklyn College of the City University of New York. His graduate studies in Anthropology include the University of Manitoba (MA) and McGill University (PhD Residency). He holds a Diploma in College Education from l’Université de Sherbrooke and has pursued post-graduate studies in History at Concordia University. 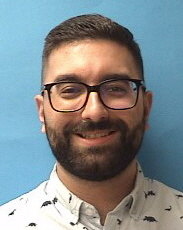 He has continued his education in Forensic Anthropology through studies at Mercyhurst College and the University of Tennessee at Knoxville. 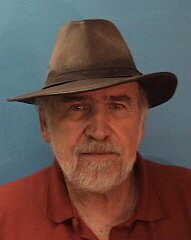 His continuing research interests are in Forensic Anthropology and the Archaeology of the Northern Sonora Desert. Courses taught: Introduction to Anthropology, Amerindians, Native American Archaeology, Peoples of the World, Race & Racism, First Civilizations, Medical Anthropology, Research Methods, and Integration in the Social Sciences. Biographical information: Jimena grew up in Mexico City and came to study to Montreal in 1998 to do a Bachelors Degree in Arts and Sciences. Her first interest was mainly in world religions and cultural anthropology. In 2003, she started a Masters Degree in Cultural Anthropology at Universite de Montreal under the supervision of Robert Crepeau, a specialist in South American shamanism. Her research project focused on the religious practices of the Huichol Indians of the Sierra Madre, in Mexico. 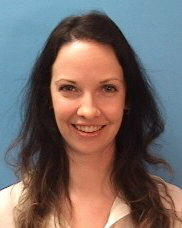 Jimena started teaching Anthropology in Cegep in 2007. Her main research interests are socio-cultural anthropology, Native American ethnology as well as Native American archeology. Marquez Jimena, A Review of “La Indianizaciόn : Cautivos, renegados, « hommes libres » y misioneros en los confines americanos” (S. XVI-XIX) Salvador Bernabéu, Christophe Giudicelli et Gilles Havard (dir.). Ediciones Doce Calles, Madrid, 2013, 401 p. in Recherches amérindiennes au Québec, Vol XLIV, No 1, 2014. Courses taught: Introduction to Anthropology, Anthropology of Sports and Leisure, Anthropology and Environment, Medical Anthropology, Peoples of the World, Race & Racism, Human Evolution, Social Science Research Methods, and Integration in the Social Sciences. Biographical information: Robbyn began teaching Anthropology in 1996. She has completed a B.A. honours in Anthropology with a minor in Linguistics at Concordia University, an M.A. and Ph.D. at McGill University. Her Master’s work involved an analysis of children’s narratives from the Solomon Islands, focusing on urbanization and cultural and linguistic ‘creolization’. For the Ph.D., Robbyn carried out research in the Caribbean, with a focus on gender identities and relations in the context of decolonization. Robbyn has worked as a fellow or a research associate on various research projects involving immigrant populations in Montreal, notably concerning communication in inter-cultural healthcare situations, and participatory research with Family Medicine at McGill. Her training also includes a graduate course in teaching at the post-secondary level and several teaching workshops, as well as a CIHR-funded fellowship in a transdisciplinary researcher training program. For a complete list of courses taught by the Anthropology department, please visit both the Social Science and the General Education (Complementary courses) sections of the Course Calendar.